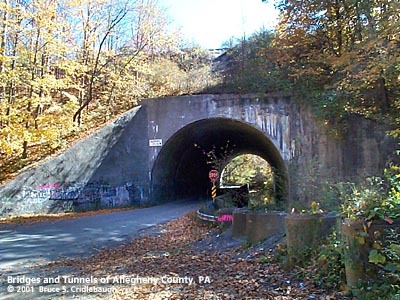 The Wheeling, Pittsburgh & Baltimore Railroad, 66.5 miles long through Wheeling and Wheeling Junction (Glenwood on the Monongahela River), was begun in 1851. 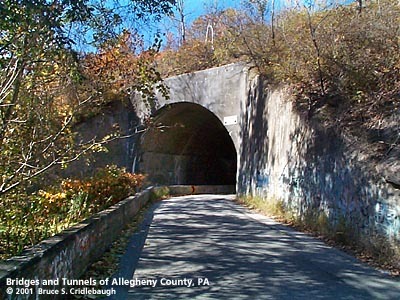 The line between Wheeling and Washington, PA, was completed and opened for traffic prior to 1857. The line from Washington, PA, and Wheeling Junction was completed in sections as a narrow gauge railroad, and was standardized in 1883. Ferry service over the Monongahela River was maintained to West Homestead (Glenwood) until 1884 when the first bridge at Wheeling Junction was completed. 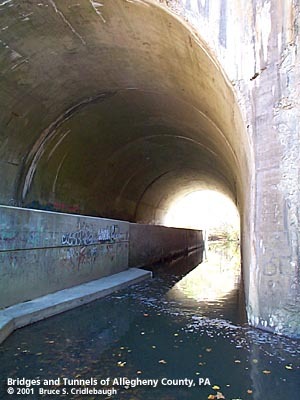 The line was incorporated into the Baltimore & Ohio Railroad, later becoming part of CSX. 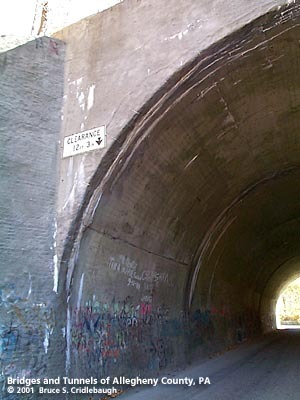 This tunnel is also known as "Corvette Tunnel." 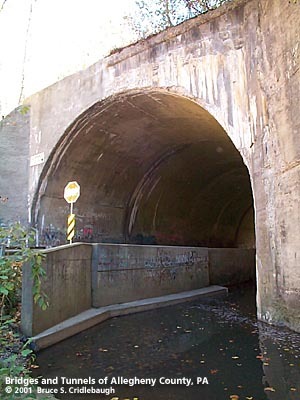 The adjacent tunnel, formerly the link between the PRR Peters Creek Branch and the Montour RR, is said to be the haunted "Greenman's Tunnel." "Railroads of the Pittsburgh district: a part of the Pittsburgh plan," Citizens Committee on City Plan of Pittsburgh, 1923.